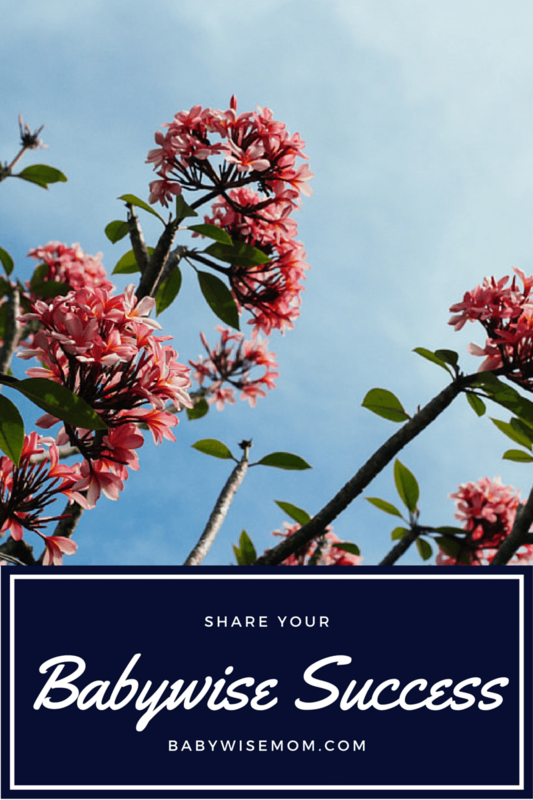 Each summer, I dedicate an entire week on this blog to sharing your success stories. I love to hear what is working for you and other parents love to see that Babywise works for multiple other parents out there. This is one of my very favorite stories of the year! I would love for you to send me your success story! Your story can be a post’s length worth of a story or it can be a paragraph. I can combine short blurbs into posts if needed. My hope is that as we provide these stories, parents who are wondering what Babywise is all about can find these stories and see that there are parents who use it and love it. They can see that those parents are loving, normal parents. If Babywise is something that makes sense to them, they can move forward in using it with confidence. 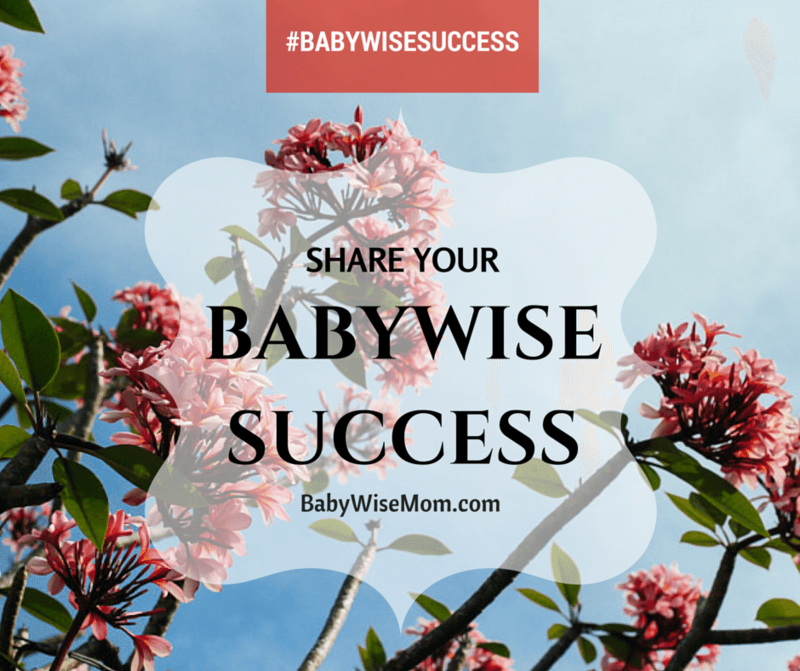 Put “Babywise Success Story” in the subject of your email if emailing. This helps make sure it doesn’t get sent to my spam folder. Tell me the title of your article. If you do not include a title, I will title it for you (which is fine!). It would be fun to know the number of children you have and their ages, but that is not required. Type or paste your article into the email/message. Please no attachments. You can start sending your article any time starting now! I don’t have a firm deadline, but you have at least until July 10 for sure. I will respond to you once I have it scheduled and let you know what day and time you can expect to see it up.